It's been a while since I got together with a great group of kid bloggers to bring you learning activities for early elementary grades. We started with second grade, and the mission now expanded to include all grades from K to 3. The theme of this week is LEGO - pretty much the BEST tool for learning out there. 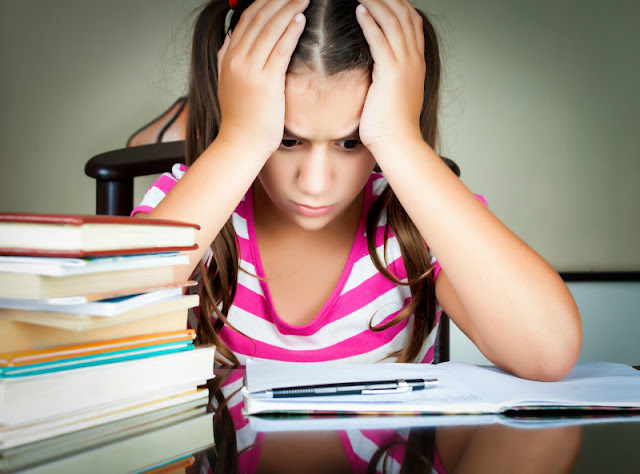 Estimating is a topic that is repeated in math every year. It's an important math skill to be able to arrive to approximate number without counting or calculating. We actually use it every day comparing unit prices in the store, figuring out how many cookies can be cut from the piece of the cookie dough or how much fabric we need to buy for that pillow we wanted to make. This estimating activity with LEGO can be done with kids as young as kindergarten. 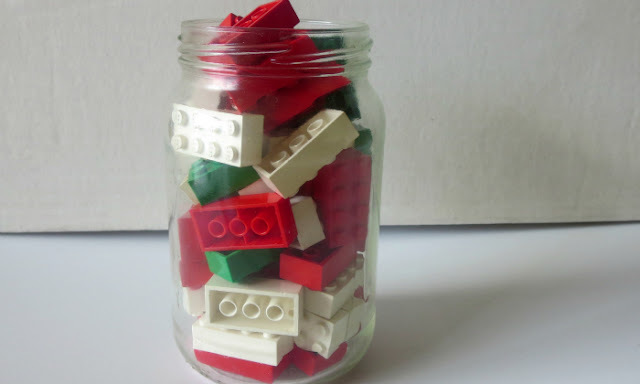 I simply put 50 Lego bricks of different colors into a glass jar and asked Smarty to estimate the number of pieces. Interestingly, her initial estimate was spot on, and then she second guessed herself and lowered it to 30. She was a little bummed when she found out that she was right the first time. Probability is another topic that starts in the first grade and gets somewhat more complex as students progress through the grades. 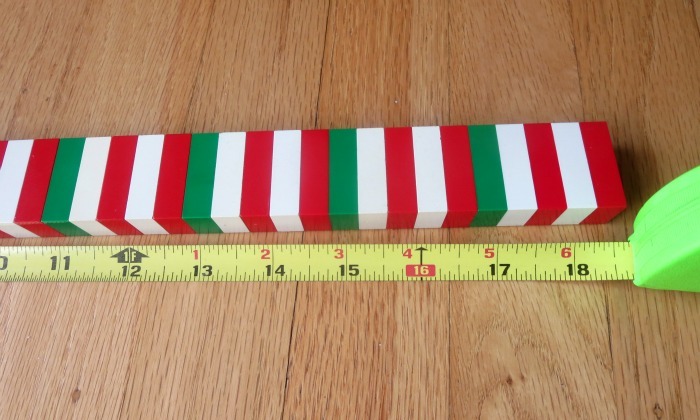 If your student is new to probability, you might want to start with blocks of two colors or with three colors but with the same number of LEGO bricks per color. Smarty had a short data measurement and statistics unit in the second grade when they did data analysis with a spinner and a dice. 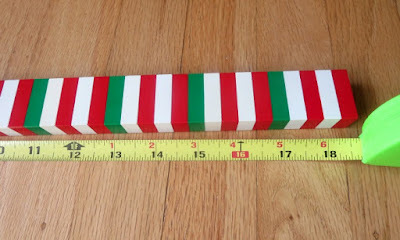 She counted her LEGO bricks and came up with 20 red bricks, 20 white bricks, and 10 green bricks. We put the bricks into a paper bag, and I asked her to predict the probability of pulling a green brick. She correctly predicted it to be 1 out of 5 (or 20%) and said that she will need to pull 6 bricks to "guarantee" a green bricks. Alas, probability is not certainty. As luck would have it, she only got a green brick on 11th try, which, I hope, reinforced some probability concepts that were a bit abstract in her mind. 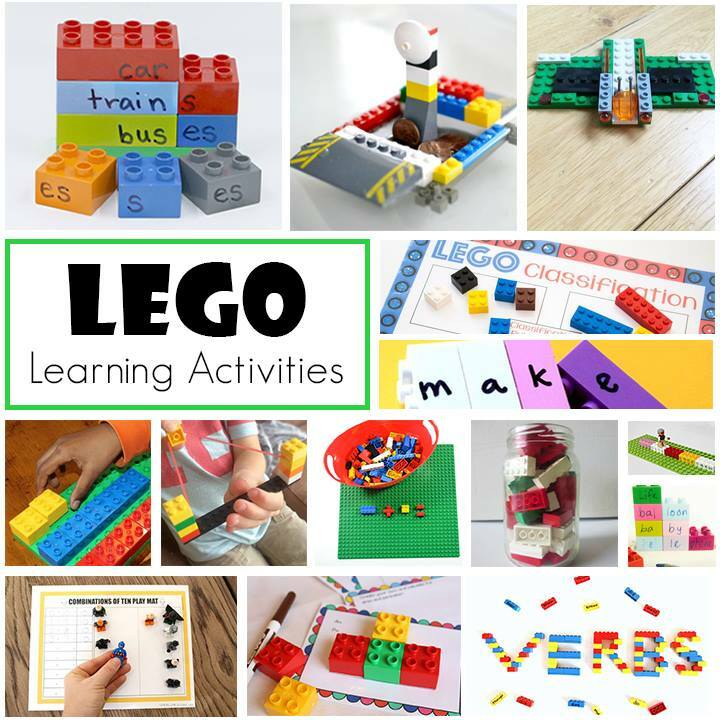 Have you done any learning activities with LEGO? Follow my LEGO Pinterest board. I am seeing so many fun LEGO activities lately! This is a great one. 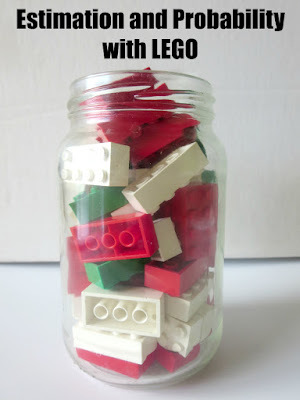 LEGOS in a jar - such a great estimation activity! I've always found probability to be interesting, especially in things like we have 5 colors and you're blindly pulling. Oh! My children will love this.